That picture is not hot chocolate. It could easily become hot chocolate, though! 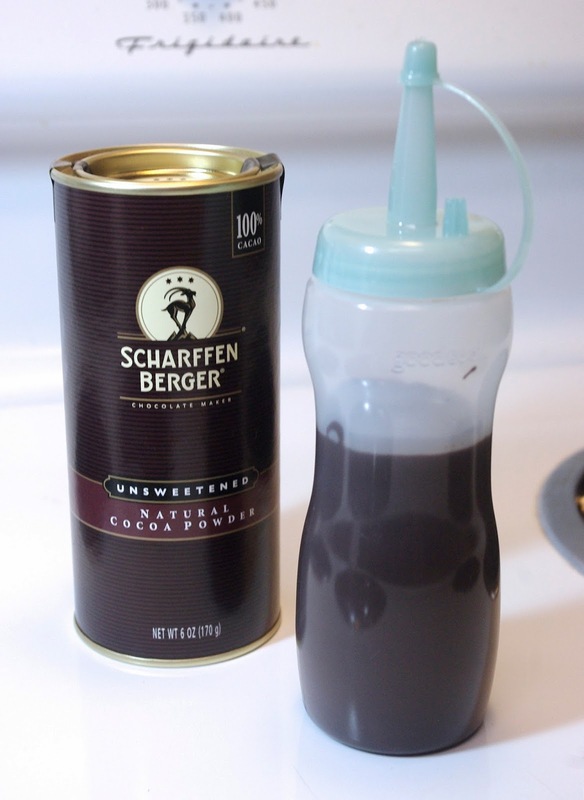 Today's post is about making your own chocolate syrup, which can be used for making both hot chocolate and cold chocolate milk. It's good for tons of things, as I'm sure you know. On top of ice cream, pies, in milkshakes, etc. Me? Well, I like to eat it straight from the bottle! I'm sure everyone reading this has had Hershey's Chocolate Syrup. Good stuff! But did you ever take a look at the label? 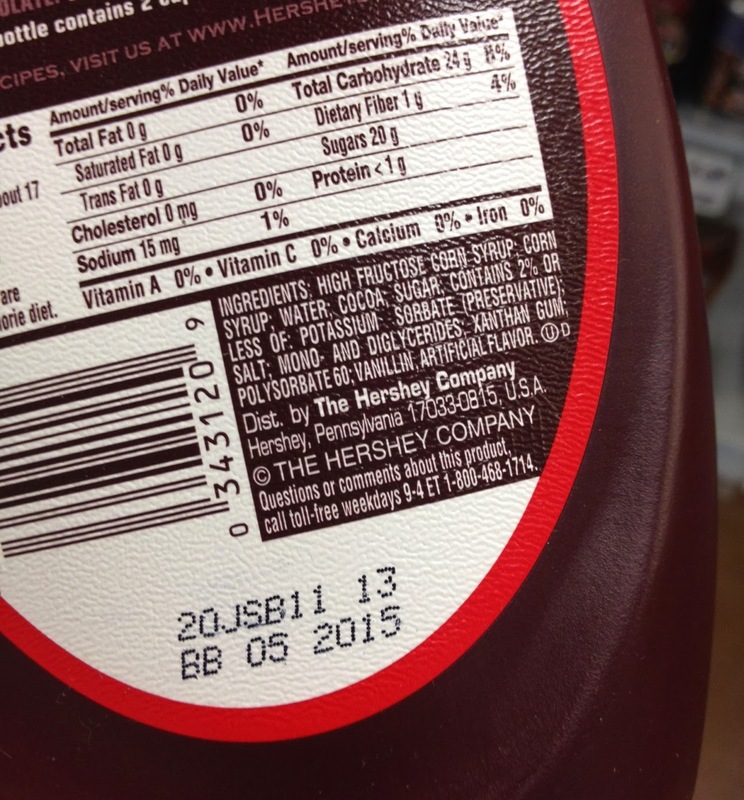 I'm not exactly a health nut (I have a blog about chocolate, after all), but once I learned how to make my own chocolate syrup, I had to wonder, what is some of the stuff on the ingredients list of Hershey's syrup? The first ingredient is high fructose corn syrup. I'm pretty sure I don't need to tell you how bad that is for you. It's not regular corn syrup. It's really bad for you, and it's in so many things today. In fact, here's an article called "5 Reasons HFCS Will Kill You." Next ingredient is corn syrup, followed by water, cocoa, and sugar. Those make sense. Then it gets crazy. Potassium sorbate. This is a synthetic preservative. While it does occur naturally in some berries, virtually all of the world's supply is manufactured synthetically. Salt. You know what that is. Mono and Diglycerides. These are emulsifying agents. They help keep the product from separating into its individual ingredients and add a little shelf life to it. Xantham Gum. Another emulsifier. Just like the mono and diglycerides, it's relatively safe to eat, but if you like knowing what you're eating, it's something extra you don't need. Polysorbate 60. Another emulsifier. Seriously, how many emulsifiers does one product need? I suspect these emulsifiers keep the syrup flowing smoothly, as well. Vanillin. This is vanilla flavor, basically. It's the chemical in vanilla that makes the vanilla flavor. However, in this product, it's probably synthetically created because it's much cheaper than using real vanilla. Finally, artificial flavor. As far as I can tell, this is a "chemical mixture that mimics a natural flavor in some way." So yeah, have fun with that. It's sad that something as simple as chocolate syrup literally has to become a chemistry lesson to learn what's in it. Does it really have to be that complicated? Heck no! In fact, if we take a look at the list of ingredients in Hershey's syrup and keep only the things we understand, it's perfect! Well, let's scratch off the corn syrup, too. We know what that is, it's used a lot in candy making, but we only need one sweetener here. 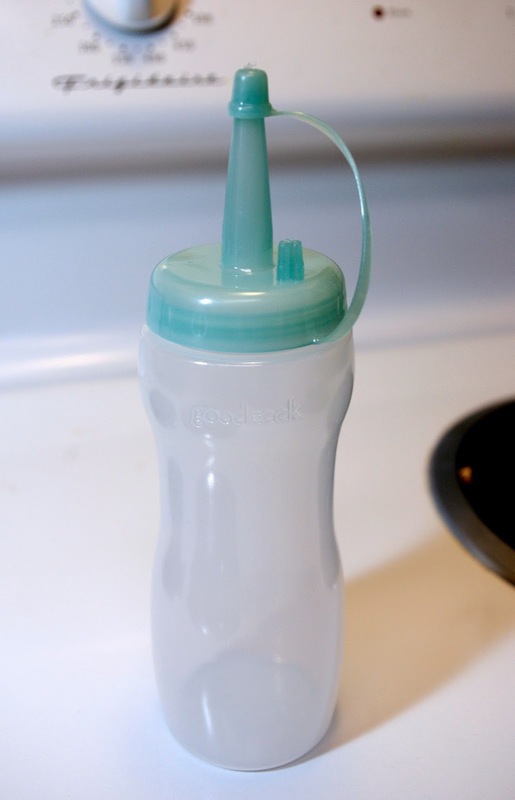 And you'll need a bottle like the one pictured here. 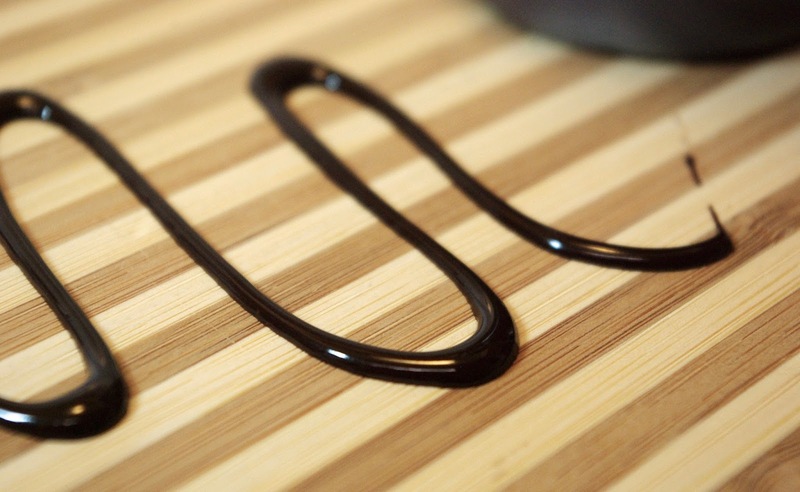 The best thing about making chocolate syrup yourself is the flavor! You can choose any cocoa powder you want. There are many artisanal chocolate makers out there creating some of the best, tastiest cocoa powders ever. 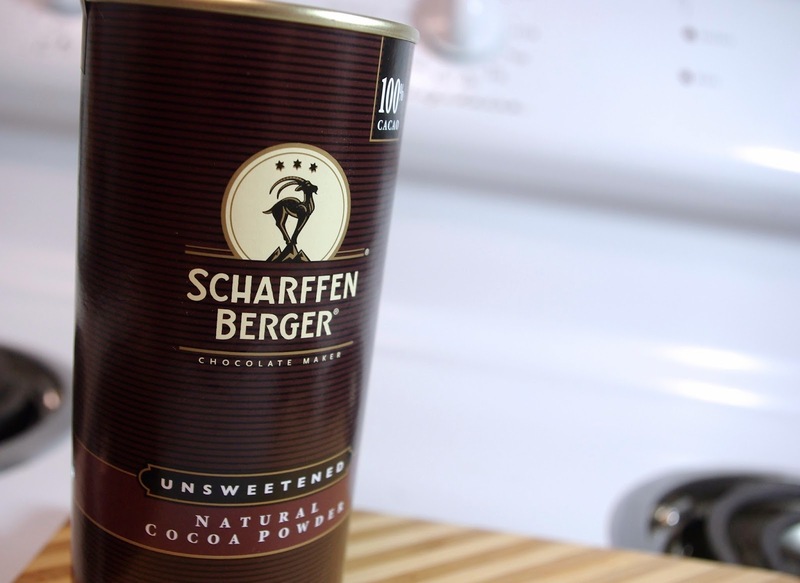 I'm using Scharffen Berger Natural Cocoa Powder. Interesting that they put the word natural right there on the label. Why would they need to make a distinction from any other cocoa powder? Well, because most cocoa powder is Dutch-processed, or alkalized. To quote Askinosie Chocolate's Facebook page: "Alkalization (also called “Dutch processing”) is a chemical processing of cocoa powder. Chocolate makers do this to create a uniform color and flavor when mixing various origins together and to tame the flavor by reducing the acidity. Unfortunately, this process strips away the complexity of flavor and removes many of the beneficial compounds naturally found in chocolate, not to mention fails to maintain the integrity of the origin, which is one of our main goals as single origin chocolate makers!" When they mention origin, they mean the cacao bean. Cacao beans from different places around the world and different trees all have different flavors. To artisanal chocolate makers, the origin of the bean is incredibly important! That's what separates them from the mass-market cheap stuff (like the folks who make chocolate syrup loaded with emulsifiers). Ok, let's get to making this stuff already! Put the water in a pot on medium heat. 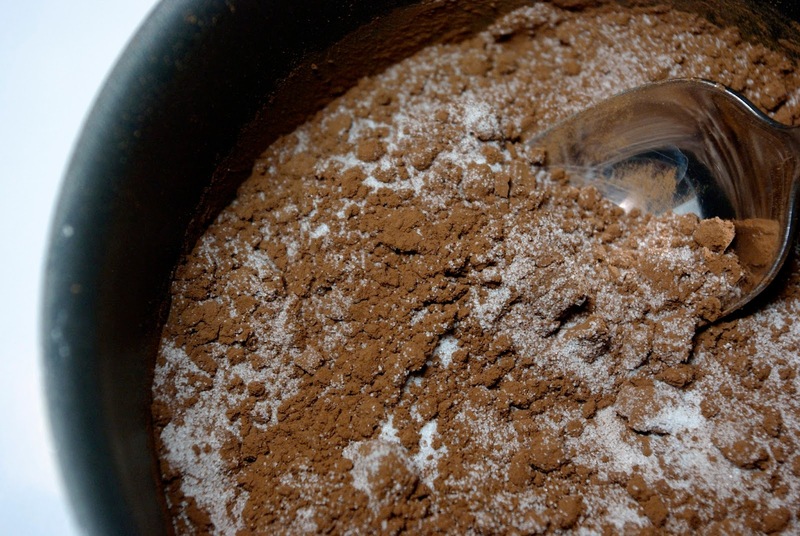 In a bowl, mix the cocoa powder and the sugar. 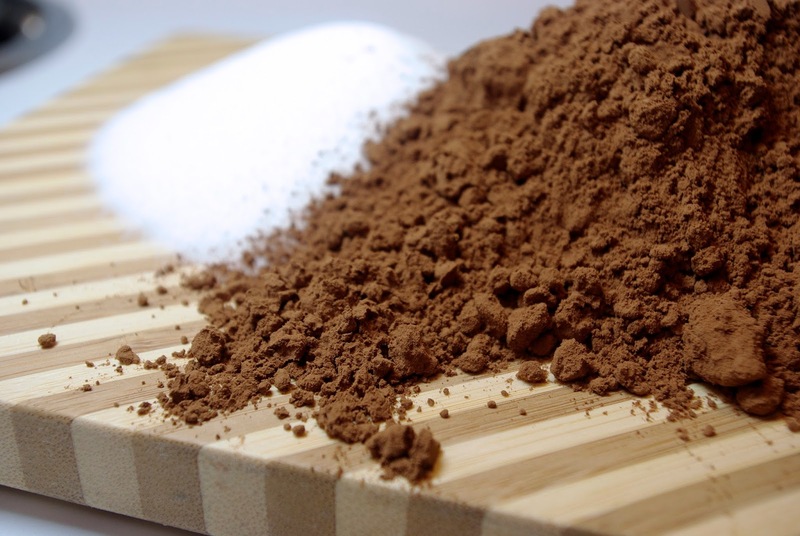 Cocoa powder on its own has a tough time blending into water, so mixing it beforehand with the sugar will help a lot. Once the water is hot, but not boiling, slowly add in the powder mix while you whisk. 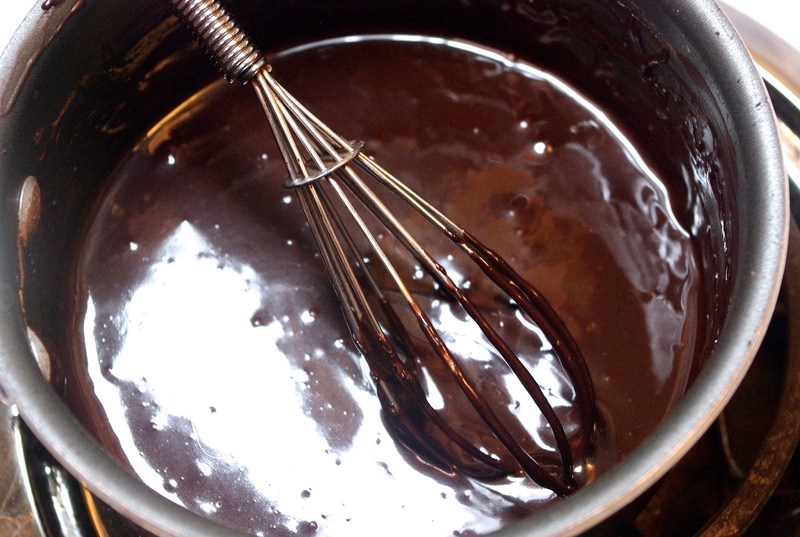 Keep whisking while the sugar melts and everything dissolves nicely and becomes delicious, amazing chocolate syrup. If you want to add vanilla or a pinch of salt, now would be the time. Don't let the mixture boil, just whisk until it's smooth. Turn off the heat and let it cool. I like to keep whisking slowly while it cools. Once it's cool, go ahead and pour it into your dispenser. Or pour some right into some warm milk for a great hot chocolate! It may thicken or solidify slightly in the bottle, since we've left out all those emulsifiers that keep it smooth and runny. Just pop it in the microwave for 10 seconds and you're good to go. Or, you could even pour it into a jar instead of a bottle, and simply spoon portions out whenever you want some. For as long as I can remember, I have loved hot chocolate. It was only very recently that I finally tried REAL hot chocolate, made with shaved chocolate, not powdered milk in a packet. It blew my mind, and I'm now on a mission to find every amazing version of hot chocolate that I can. I'll still use the packets in a pinch, though.